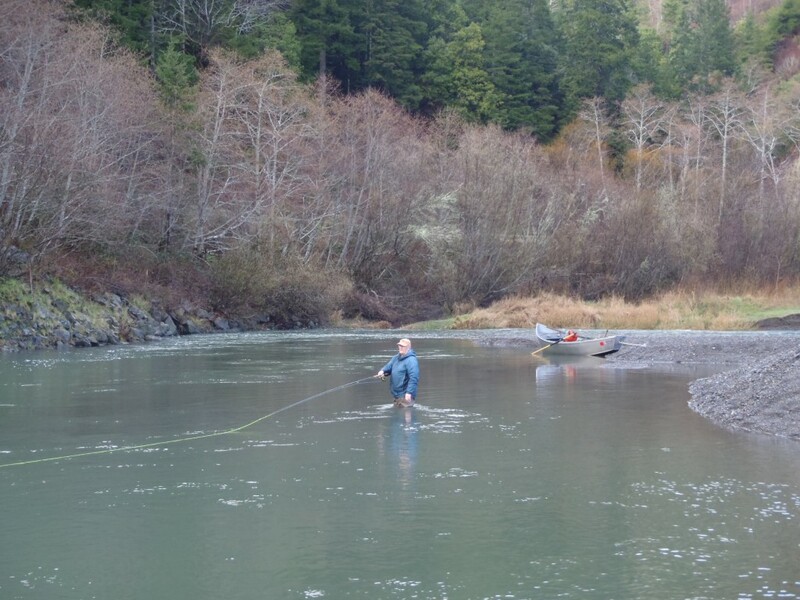 After an unseasonably warm weekend melted major amounts of our Cascades snowpack, the McKenzie once again rose out of fishable range. But in the week that followed, cooler weather led to a steady drop. 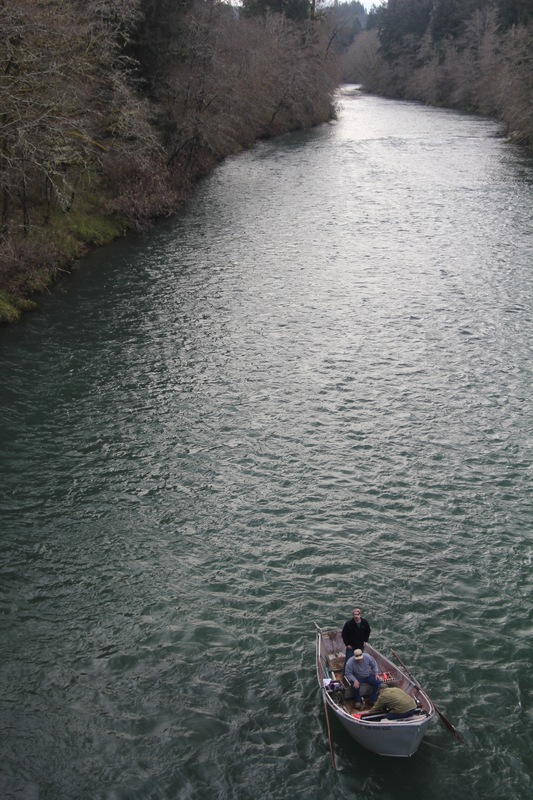 On Friday, April 27th, I hit the river with my good friend, Cougar, for a look around. I’m not sure if I’ve ever fished or boated the McKenzie at or above the 11,400 cfs it was running, but it sure seemed to be the highest I’d ever attempted it. Fishing was entirely a nymphing show, and spots were few and far between. But in the areas where the water ran green and even, the trout were there. 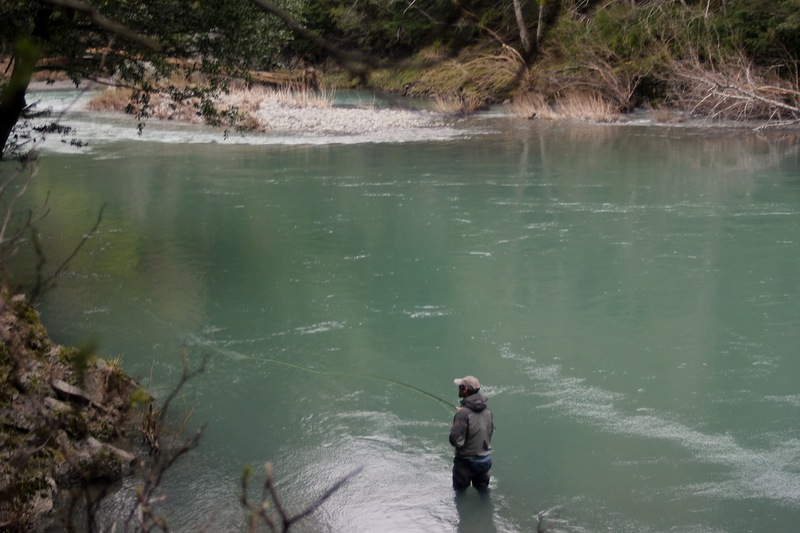 As the river has dropped over the weekend, fishing has only improved. Today saw one of the best March Brown emergences of the season, but it was scarcely noticed by any fish, judging from the lack of any surface feeding. 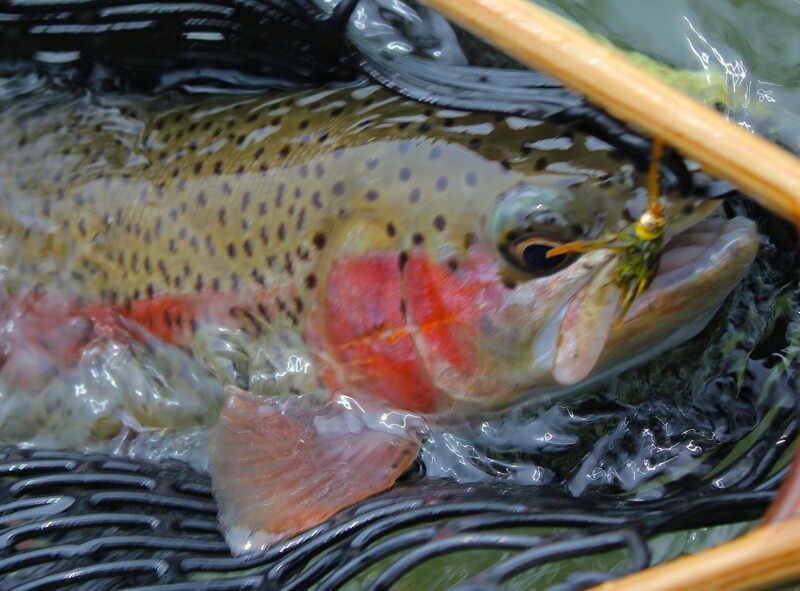 In any case, the nymph fishing remains steady, and there are some fantastic native redsides and cutthroat on the bite. 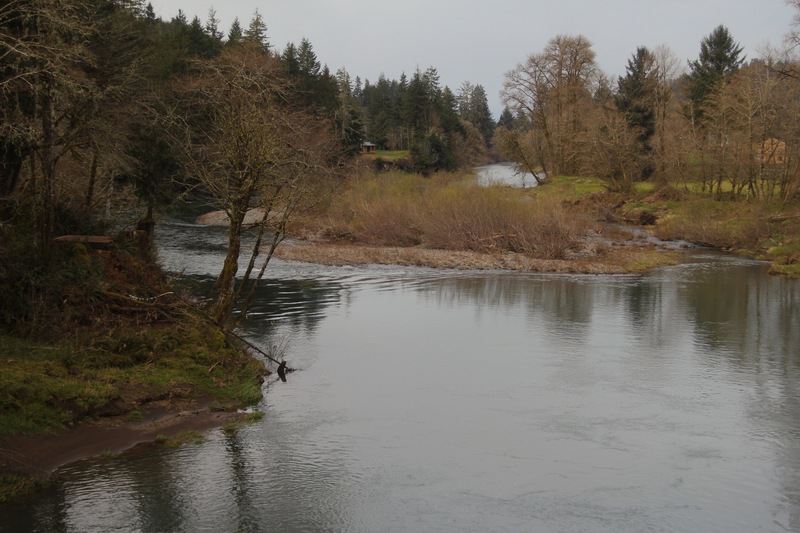 When the river flows stabilize, we should see the surface action improve. 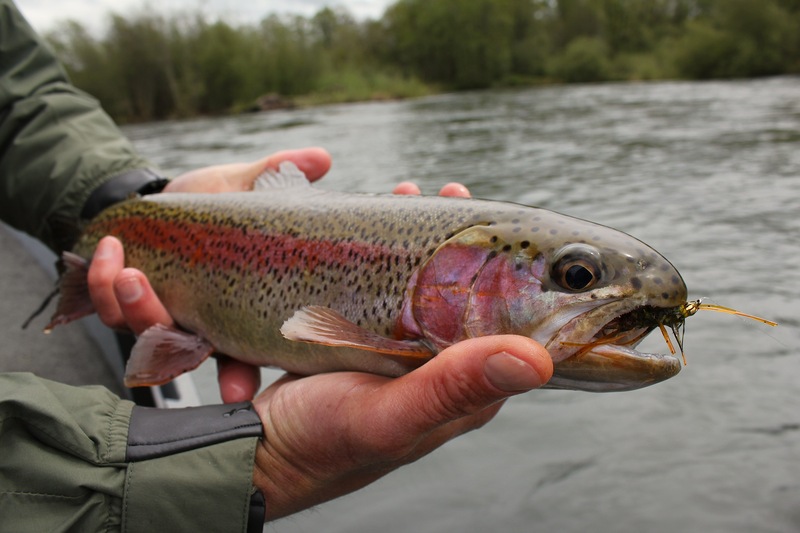 Trout season is here! 2012 has been a year to remember here in the Pac NW. Many of us will remember the parade of violent weather and epic floods that sent residents scrambling to read the fine print on their insurance policies. 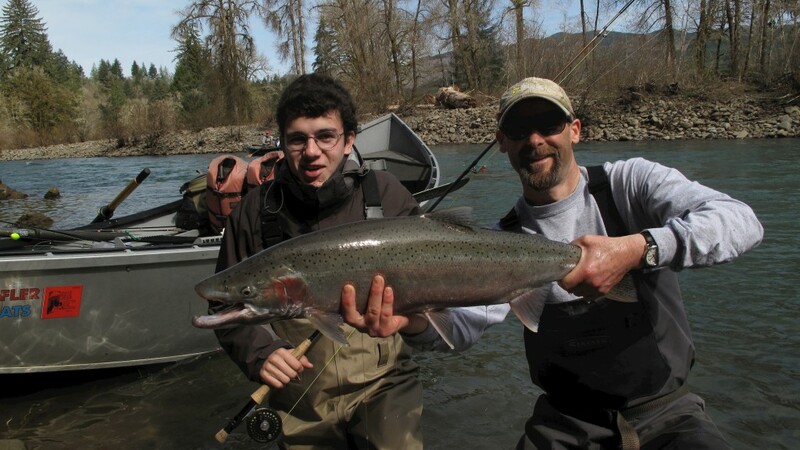 But in between storms, when rivers dropped into glowing jade, the steelhead were there. Some days it seemed reasonable to believe there was a fish behind every rock. Now, as our focus shifts to the Valley waters closer to home, please enjoy some images from the Two Dudes 2012 Oregon Coast Winter Steelhead season. Tight Lines! 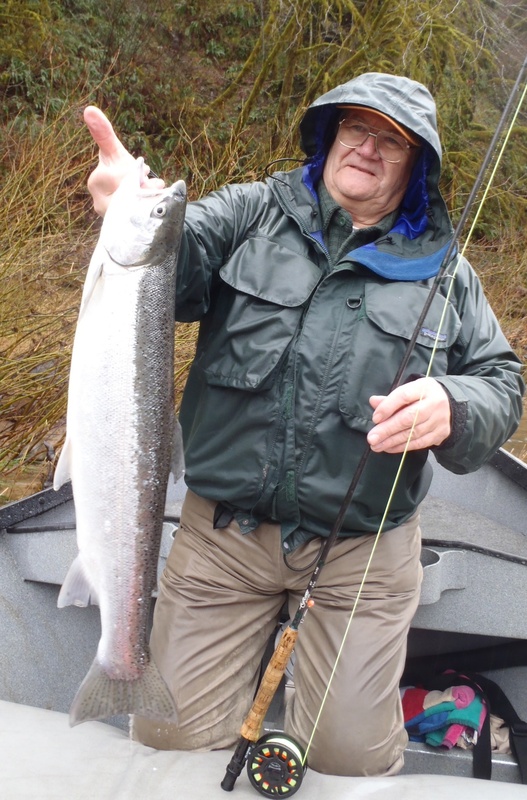 A good friend and fine angler has passed. Those of you who follow this blog will recognize the name, Don Truax. He was my first and most dedicated regular guest. Don fished with me two or three trips every year since 2000. We have shared many wonderful times on the water over all those years. Don was pretty much like family to me. He was my dad’s first statistics professor at U of O back in the early 1960’s, and Fred has always held him in the highest esteem. Don’s daughter, Gayle, and I even dated for a while back in college. I remember sharing meals back then at the Truax family home. 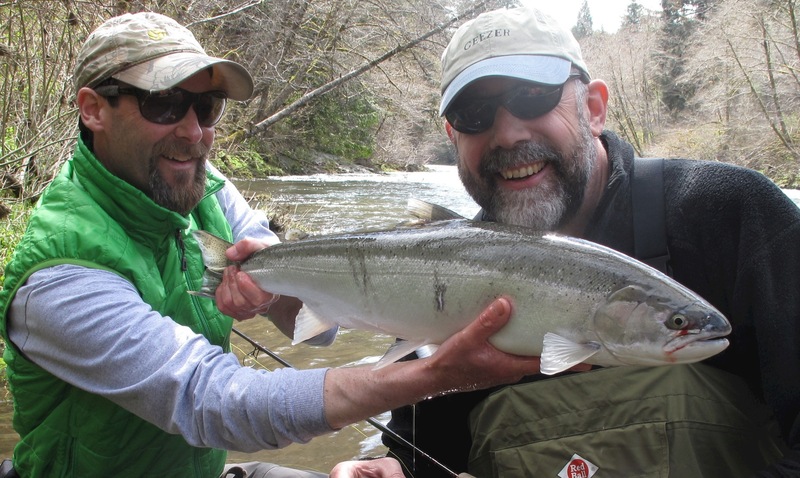 Don and I reconnected at a meeting of the McKenzie Fly Fishers back in 2000 and began what quickly became a tradition of fishing together each season. Don favored dry fly fishing (although he would fish any clunky old nymph rig I would hand him with characteristic enthusiasm), and every season, the first great day of March Brown surface action would typically coincide with Don’s Spring outing. It was so easy: The fishing would get good, and I’d call Don. He was always ready to hit it on short notice. Even when the fishing was tougher, Don kept it all in perspective. He embodied the concept that there is more to a good day of fishing than simply catching lots of fish (which he generally did anyway). 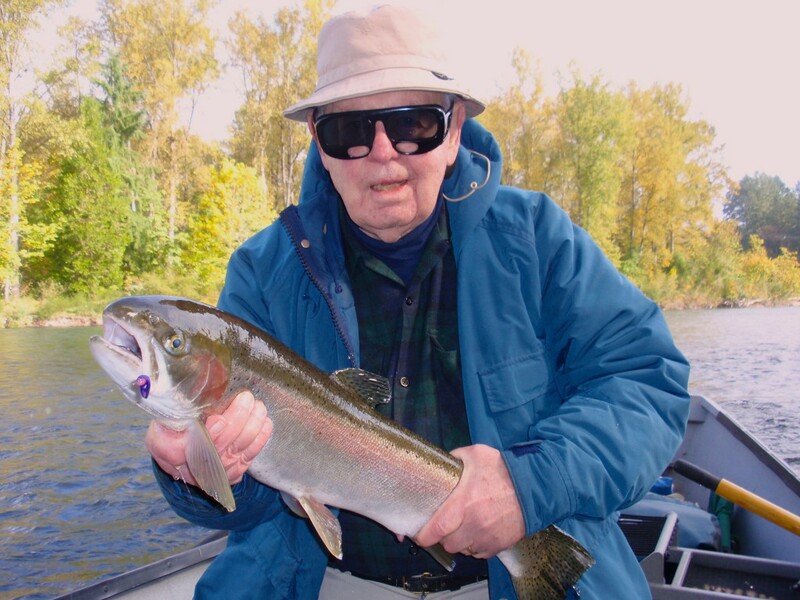 Through it all, Don’s passion for fly fishing, his gentle wit and generous spirit made each day together a pleasure. 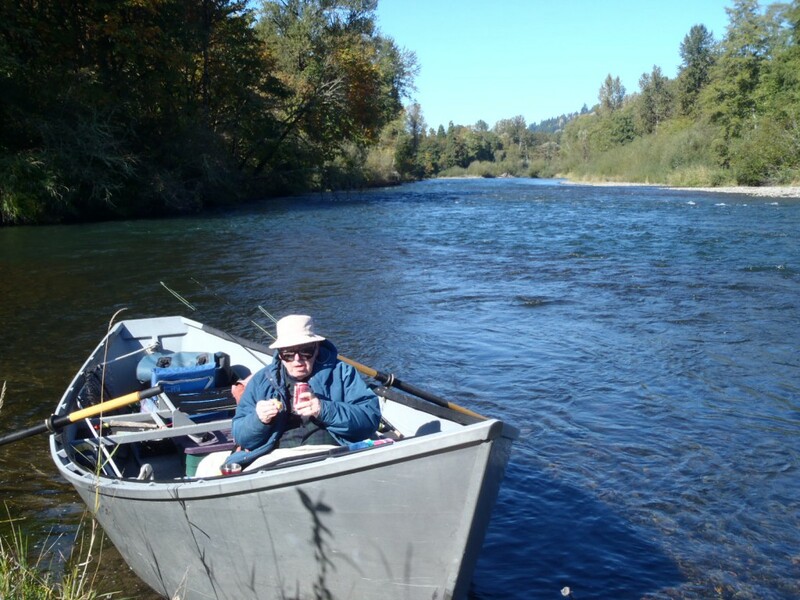 Even though his strength ebbed steadily over the last couple of years, Don’s passion and excitement for a day on the water did not. 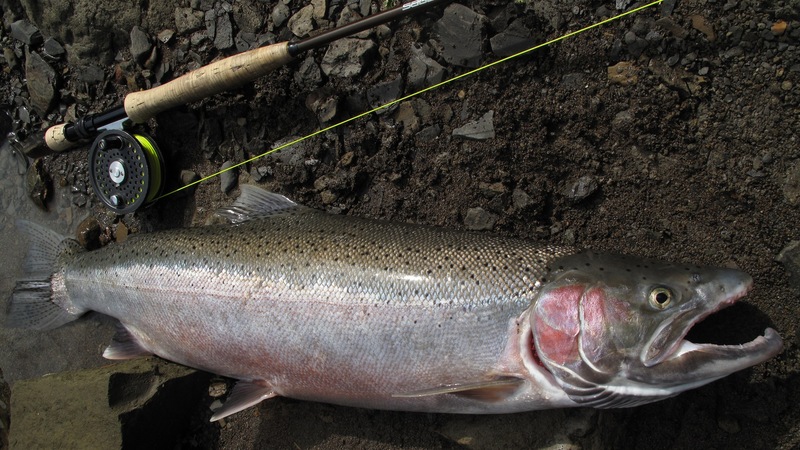 His last day out in October, 2011 was a classic: excellent trout action on big dries highlighted by the landing of his first steelhead on the fly. 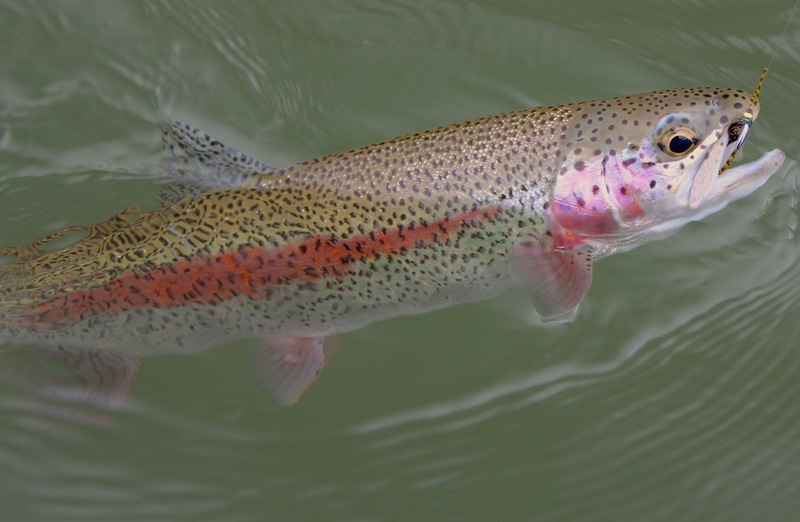 In the years to come, when the fishing gets hot and the trout rise again to the surface, I will think of Don and wish I could call him one more time.